Looking for a superb amp to give your guitars a new voice? Then look no further. The A-22 and A-50 feature sound that’s classic yet refined for players who are seeking something a little different without getting too far away from the tones that started all the excitement. In the stock configuration, you can achieve rich medium-gain overdrive tones without the need of a stomp box. 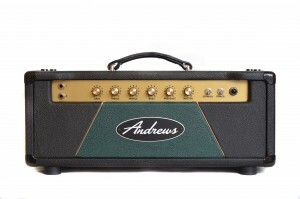 The A-series amps are inspired by classic British designs from Marshall and Vox. Overall, the A-22 with it’s EL84 output tubes, tends slightly more towards Vox than the A-50 with it’s El34 tubes and it’s vintage “plexi” tones.